High spec 911 with an exemplary 13 stamp service history record, featuring desirable options such as BOSE, sat nav and black leather, this modern classic is a great entry to 911 ownership its stunning anthracite Porsche alloy wheels, free from major markings, are wrapped in Pirelli Porsche N4 rated Continental tyres all round that are matching and have plenty of tread remaining. The Carrera features the tiptronic auto gearbox that is smooth and operates faultlessly. Our example has an MOT to January 2020 and provides a thrilling yet smooth ride as and when requested by the driver. The brakes bring the 911 to standstill with little hesitation and the headlights are free from cracking or moisture, the interior is in superb order for its year - viewable in the images, our example barely features any signs of it’s 18 years remarkable, and a true credit to its former owners, highlighting the cherished life its had. 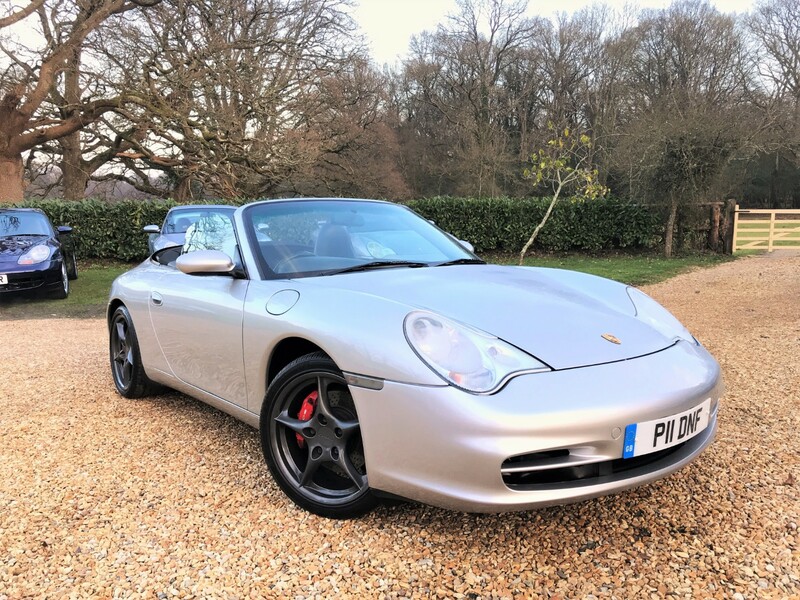 Our Carrera 4 is supplied with a new MOT and this Porsche is is supplied with 2 genuine key fobs, the roof operates seamlessly on the key fob which is a great feature. Sorry we do not accept offers. Viewings are available by appointment 7 days a week at hours to suit you, accepted methods of payment are cash or a cleared bank transfer, you are able to reserve this Porsche from as little as £100 before arranging an appointment to view, we offer nationwide delivery and part exchange, please watch the HD YouTube video before enquiring and read our excellent 80 reviews or visit us on Facebook and Instagram, buy from the best, we were ranked 92nd from 13,000 retailers at the recent Autotrader Awards 2018.